Kellie started her career with Network Reporting in October of 2015 after almost a decade in the pet retail business. Her current positions include court reporting, which includes transcribing, as well as video reporting services. 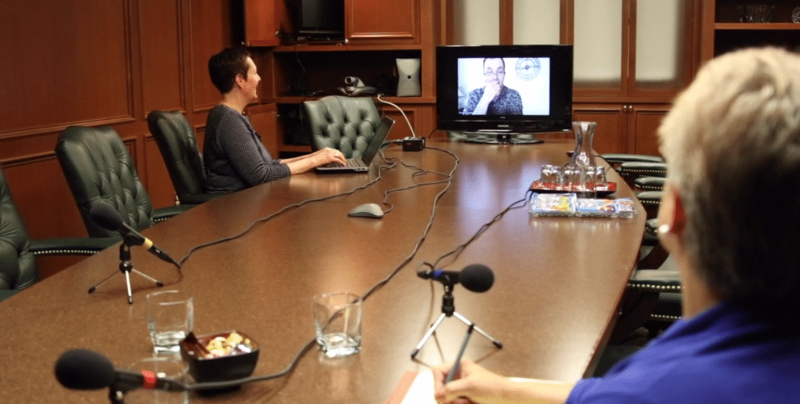 On a typical workday, you can find Kellie either typing transcripts at her home in Grand Rapids’ Creston neighborhood or anywhere within 75 miles of town taking depositions. 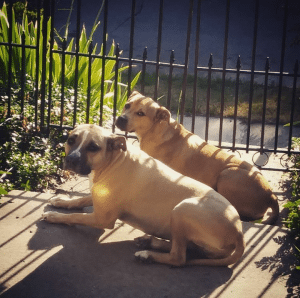 To keep her “co-workers” from distracting her on typing days, Kellie loves to take her two rescue dogs, Luna and Cosmo, on walks throughout the city. One of her favorite trails is the river walk which runs downtown on either side of the Grand River. When taking deps in Grand Rapids, Kellie is always excited to visit firms that are afforded bird’s-eye views of the city; Varnum, Rhodes McKee, and Miller Johnson to name a few. Her favorite place to work outside of Grand Rapids is Muskegon because of its proximity to Lake Michigan. 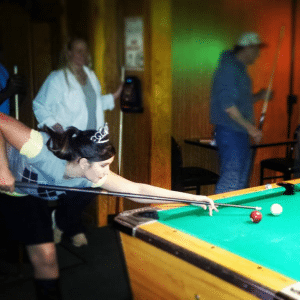 Outside of work hours, she also spends a lot of time in the up-and-coming Westside area playing in various pool leagues, as well as touring the copious amount of breweries that have collectively made Grand Rapids “Beer City USA” multiple years in a row. Favorite place to take a break: I always love being able to take breaks at Rosa Parks Circle, especially when they have food trucks! Favorite park: You can’t beat the view at Belknap/Lookout parks! Favorite local business: Rebel Reclaimed is a funky, spunky store in the Eastown area that never ceases to make me smile.